Whether you’re in the market for a complete home renovation or a simple repair, Homecraft® Inc. delivers the best in craftsmanship, materials and products that exceed your expectations. We are proud to give you personalized attention and incredible value because we are dependable, reliable, dedicated and friendly when it comes to siding, window replacement, doors, gutters, and roofing. Give us a chance to show you how our skilled and talented team can help you love your home again. With two options: either Homecraft® vinyl replacement windows or Andersen® wood replacement windows, you’re guaranteed the best in performance, energy savings, and dependable service through the years. The exterior entry doors on your home should warmly welcome your family and visitors. For new doors in Mantua NJ that won’t break the bank, your #1 choice is Homecraft® Inc., where we can design a brand new entryway with a rugged, durable entry door or replace a broken old patio door with a new sliding one for a seamless fit. We give you several choices when it comes to siding, from the traditional look of cedar shake siding to quality vinyl siding with no maintenance required. There are many styles and textures to choose from to match your house’s unique style. Your roof is the single most important structural system in your home, tasked with protecting your house and your family from all types of weather. 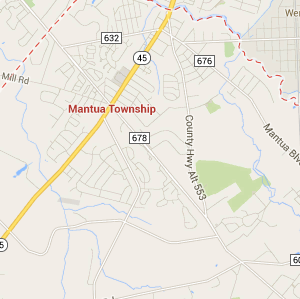 You don’t want to mess around with cheap materials or shoddy workmanship on your Mantua NJ roofing system! That’s why so many of your neighbors trust Homecraft® Inc. for roof repairs and new roofing in Mantua NJ . As a GAF MasterElite™ roofing contractor, we can offer you the country’s highest quality roofing systems, backed by the industry-leading “Golden Pledge™” warranty protection. You’ll sleep better under a Homecraft® roof! Here at Homecraft® Inc., we ensure your gutter system works right alongside your roof to provide efficient water run-off that won’t cause clogging, standing water and leaks. Instead of throwing your money away with sub-par gutters, go with the best and choose Homecraft. Look to our team to make any improvement, repair, or renovation you need. We are the best because we are continually trained in the best products, materials and installation techniques. Your satisfaction is 100% guaranteed, so come to us for parts replacement, damage repair, renovations and improvements to boost your property value. FREE Estimates on Mantua NJ Home Improvement, Windows, Doors, Siding or Roofing. Call Homecraft®, Inc., today at 1-877-494-0377 to schedule a FREE in-home consultation and estimate for your Mantua NJ home improvement project, roofing, siding, replacement windows, doors, or gutters.